The Dangan series returns with the 89th Dangan show on December 9th. 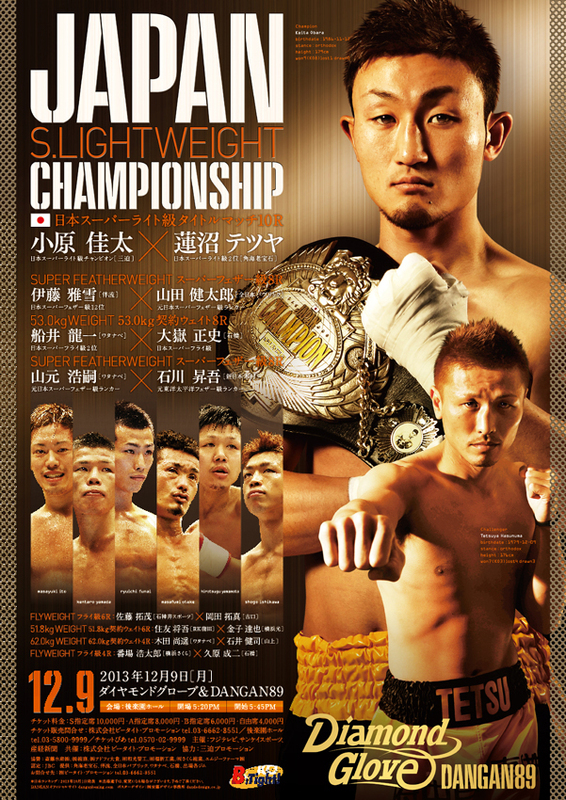 The always interesting series returns this time around with what looks like an explosive main event as Japanese Light Welterweight champion Keita Obara attempts to make the second defense of his belt. In the opposite corner to Obara will be Tetsuya Hasunuma. The rest of the card promises some intrigue even if it's not one of the best Dangan cards of the year. The poster keeps with the golden theme and multiple photo look that we're starting to get used to from Dangan posters although in this case Obara takes most of the focus with around 1/2 of the poster taken up by just him.